Marking ten years since the launch of the Innovision 1 – which boasted ten horological innovations – the Innovision 2, a halo/concept timepiece, was unveiled at SIHH 2017, with ten new innovations. Following in the footsteps of the Dual Direct escapement of 2001, which set new standards in efficiency, the new Dual Constant makes an even greater leap forward. This sophisticated constant force escapement makes ingenious use of a complex silicium structure with locking elements and flexible silicium blades that are not dependent on the mainspring. This means that friction is reduced, and the small pulses of energy transmitted to the balance wheel and hairspring are equal and constant over time. The result? Mechanical accuracy that is second to none. The InnoVision’s escapement element is made from a process in which Deep Reactive Ion Etching is used to produce the two initial micro components from monocrystalline silicium. A type of silicium bond, developed by Ulysse Nardin is used to fuse the components into one complex three-dimensional element. The sealed bond is created by compressing surfaces at temperatures of 1000 to 1200 °C and adding oxygen. The novelty is that the process creates stable silicium oxide joins, which spread in all directions from the contact point. For engineers and watchmakers, a balance wheel must fulfill precisely defined criteria. Its center must have the lowest possible mass yet a high moment of inertia.The new balance wheel of InnoVision 2 possesses both these seemingly contradictory qualities. The secret? 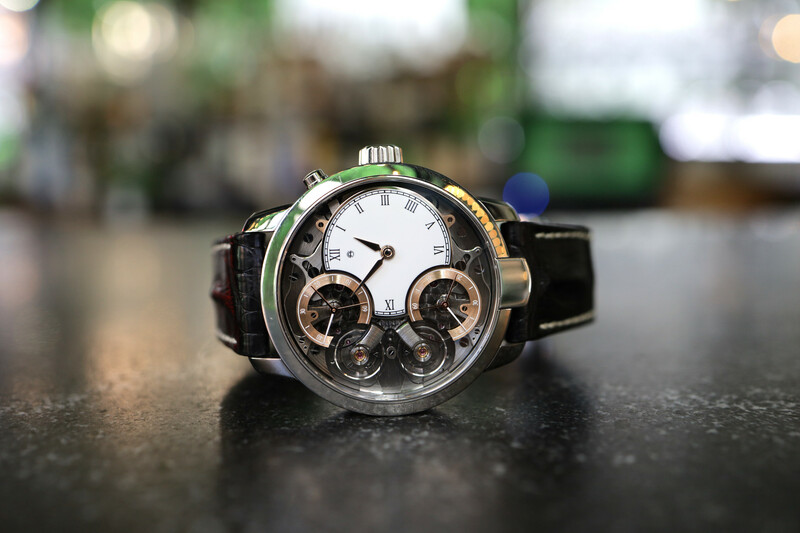 The cutting-edge manufacturing process used to create the body of the ultra light silicium balance wheel, combined with the distinctive paddle shape of the regulator lever, and the four solid gold elements fixed to the outer edge. The entire balance wheel’s mass becomes much lower than that of conventional constructions. Since 1942, engineers have been trying to improve the efficiency of the dual-direction rotational self-winding mechanism in timepieces. 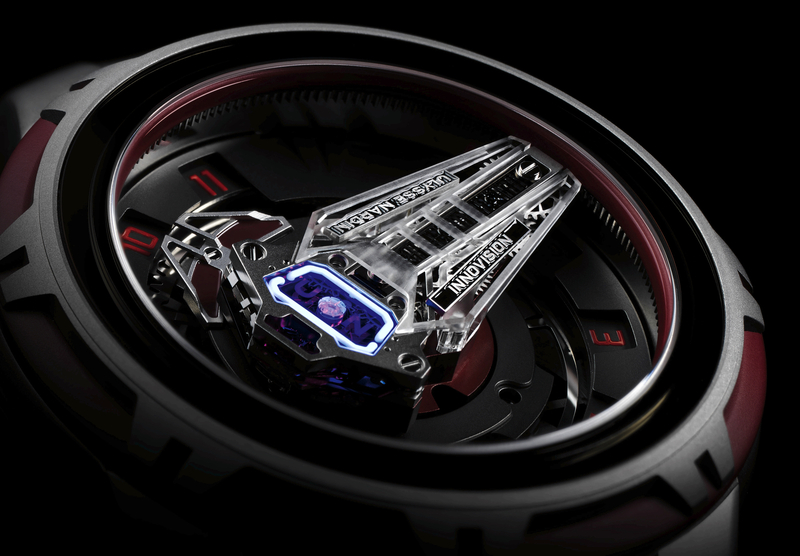 Finally, the engineers, technicians, and watchmakers at Ulysse Nardin have achieved a breakthrough. Grinder is the result of a radical redesign of the automatic winding mechanism. Ulysse Nardin developed an energy conversion system allowing the optimization of transmission. 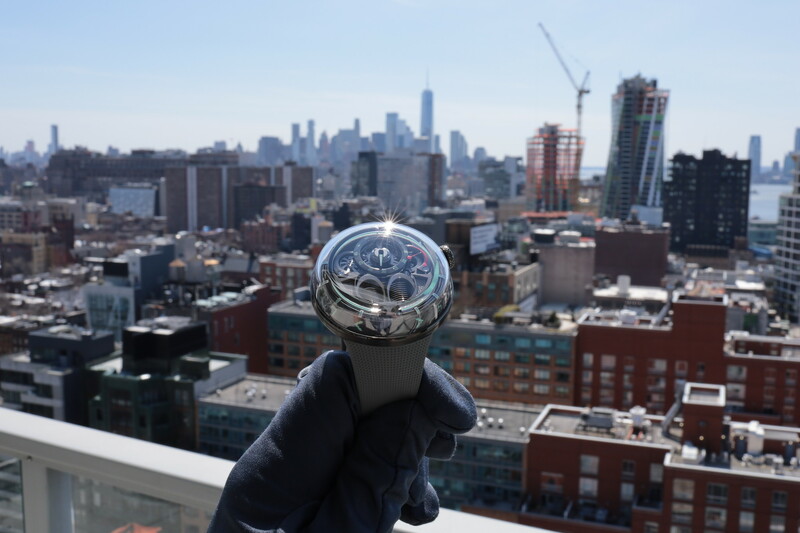 It uses the flexibility of the material and kinetic potential of the system itself to release energy, and wind the watch through the movement of the wearer’s wrist. Ulysse Nardin again proves itself a pioneer in the use of new materials in mechanical watchmaking. As early as 2007, the watchmaker created a process of coating silicium components with a synthetic nanocrystalline diamond film, for increased durability. 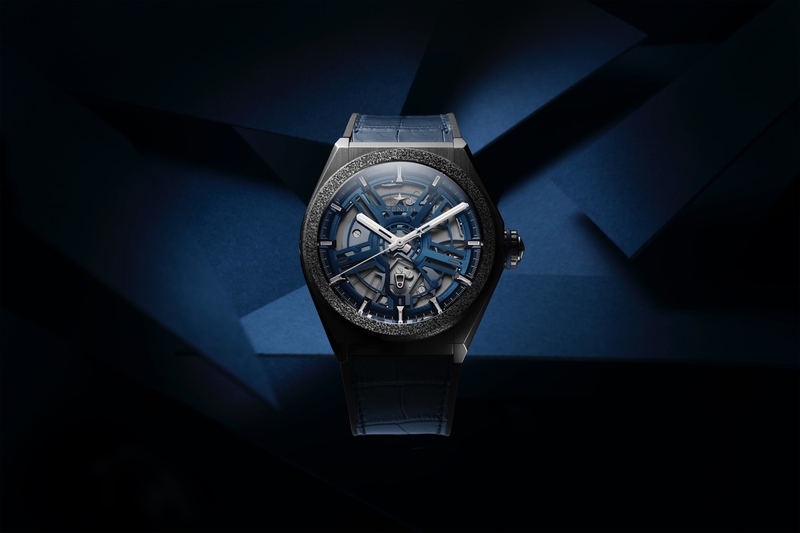 Now, in collaboration with the EPFL High School of Lausanne and the company Si-gatec, Ulysse Nardin has developed a patented method for coating silicium with a thin film of sapphire. The new component has harder surfaces, a higher mechanical stability. Gear wheels in mechanical movements are typically made of brass. Not so in the InnoVision 2. Ulysse Nardin has purposefully chosen hard gold for these components. Typically, when gear wheels used in timekeeping gear trains interact with steel pinions, friction occurs. Using gold ensures a more efficient transfer of force. This has a positive effect on the energy consumption of the mechanism and ultimately on the power reserve of the watch. And once the gold gear wheels have been manufactured, an attractive outer surface with delicate and stable structures is created. Classic designs for shock protection in a mechanical watch comprise a total of five microelements working together. These include the bearings, the fixed bearing jewel and the endstone jewel and a spring. As a result, there is frictional resistance to overcome. Now Ulysse Nardin has designed and manufactured an incredibly innovative system that is fully integrated, and surprisingly, made of glass. The glass in this shock protection system, in fact, exhibits flexibility and strength. The InnoVision 2’s new balance wheel bridge is unprecedented: made of transparent glass, it offers a wave of new possibilities to engineers and material scientists. One of these is the brilliant idea of creating delicate channels in the glass filled with Super LumiNova. Super LumiNova is a type of phosphorescent pigment which is activated by daylight or artificial light, then glows for hours afterward. The Super-LumiNova filled channels on the glass balance wheel bridge reveal impressive light effects in the dark. Compared to a classic time display that rotates once around the center every 12 hours, the InnoVision 2 reveals one that reinvents the way time is displayed. The innovative concept represents hours 1 to 11 first, and then hours 13 to 23 digitally. The digits can be read through specifically-shaped apertures for better legibility. An extraordinary idea whose patent is pending. Along with its exceptional digital time display, the InnoVision 2 also has a minute hand which is unrivaled on the market. A three-dimensional glass sculpture, it is manufactured using precision laser cutting, an incredibly fine process with a resolution of 3 to 5 micrometers. A fine metal plate acts as a base for the delicate glass creation, ensuring it remains stable, even under violent impacts. Editor’s note: The 10 titles and descriptions were written by Ulysse Nardin.